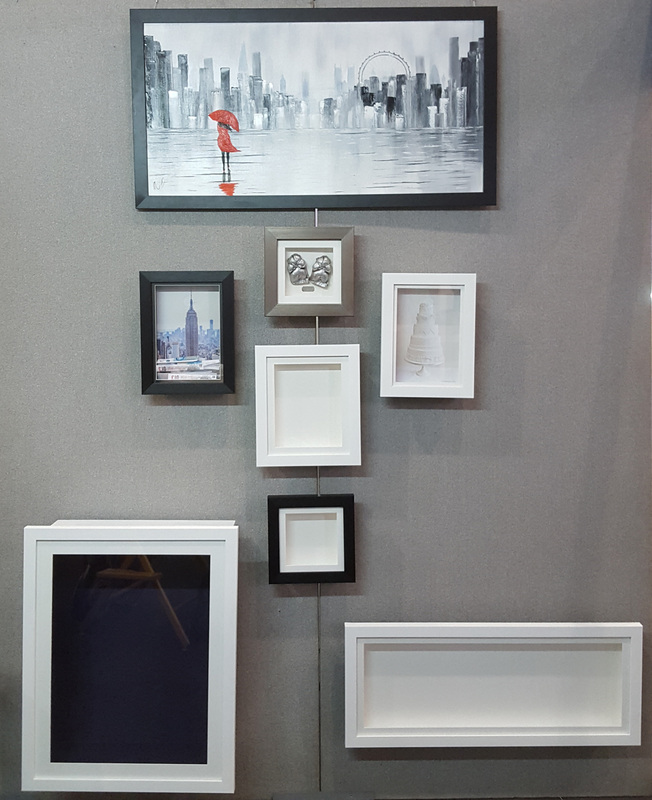 Picture Framing In Milton Keynes, Buckinghamshire. Here at Off The Wall Framing, we can mount and frame anything from a simple print to a full length wedding dress. 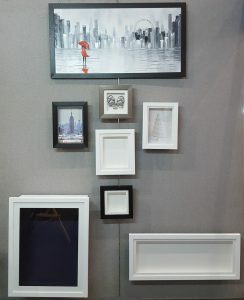 We can frame your paintings using traditional mouldings – click here for more on painting framing . We can also frame your objects using shadow boxes – click here for more on shadow boxes. Finally, we can frame your paper and textile artwork in the conservation manner – click here for more on paper and textile conservation framing. The best picture of all is seen in the mirror that you look in, we can enhance that picture with a special frame. We are building up our Etsy Shop here. There will be more added. We use frames of various sorts to display the special objects that we have. A simple photograph of the family, in an attractive flat frame on the sideboard, shows our family off in a flattering manner. A shadow box frame of some sort allows us to show off an object in a way that draws the eye to the object on display. A painting can be enhanced by placing it in a proper painting frame. The frame is the finishing touch for a work of art, it has to compliment the art and present the art to the viewer in the best way. A frame can also be a work of art in itself. Framing can also be used as a conservation tool where the protection of the artwork is a higher priority than just its display. The traditional thinking is that the work of art dictates the style, type and colour of frame. A period or fine art painting might best have a more elegant and more classical picture frame to it. An abstract or ethereal painting might look better with a more simple frame. Having said that, the frame should also complement the room and furnishings. A traditional painting in a minimal room doesn’t necessarily need a traditional frame. A larger painting usually has a larger frame, and a smaller painting a smaller frame. Having said that, a small painting can be enhanced with a larger frame. A multi layered frame, where 2 or more moulding types are placed on each other would provide a unique look. The proper glass helps protect the art from airborne pollution and from fading from direct sunlight. furthermore, it also protects the art from accidental damage. Acrylic sheeting can be used and is lighter than glass. Different objects to be displayed require different methods of fixing and framing. A painting is probably the simplest thing to frame. Firstly, choose the moulding, we then cut it to size and assemble it. We then attach the fixings on the back to hold the artwork in position, and add the rings to tie the hanging cord. Additionally, you could have a more sophisticated frame made that displays the painting behind UV glass and mount board liner. You can have mounted almost any artwork or object. We can frame your print, poster or painting in a fine quality frame of your choice. Furthermore, we can also mount solid objects ranging from a personal memento through to a wedding dress. Now, please go to our sign up form here and complete it so that we can keep in touch with you and “keep you in the frame”. We won’t give your details to anyone else. We will keep any communications short and sweet, and I hope a little amusing as well. We look forward to hearing from you and answering any questions that you have.